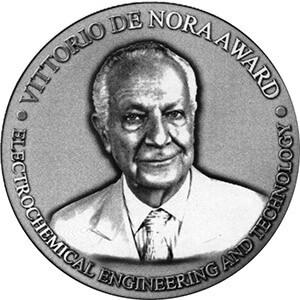 The Vittorio de Nora Award was established in 1971 to recognize distinguished contributions to the field of electrochemical engineering and technology. The award consists of a gold medal and a plaque that contains a bronze replica thereof, both bearing the recipient’s name, the sum of $7,500, complimentary meeting registration for award recipient and companion, a dinner held in recipient’s honor during the designated meeting, and Life Membership in the Society. The recipient shall receive the award at the spring 2018 biannual meeting in Seattle, WA, USA and deliver a general address on a subject related to the contributions for which the award is being presented. 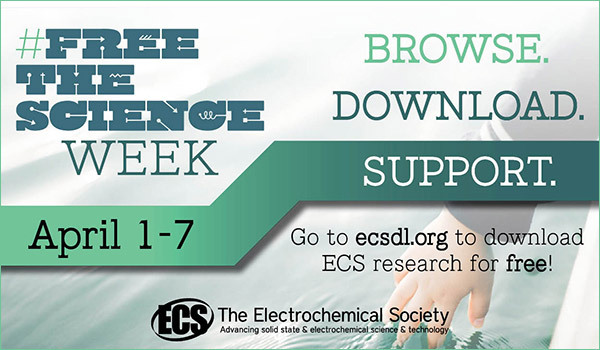 The Electrochemical Society distinguishes outstanding technical achievements in electrochemical, solid-state science and technology, and recognizes exceptional service to the Society through the Honors & Awards Program. Recognition opportunities exist in the following categories: Society Awards, Division Awards, Student Awards, and Section Awards. We could not do it without you! Henry B. Linford was a distinguished professor of chemical engineering at Columbia University and known for his work and research in electroplating and corrosion of metals. 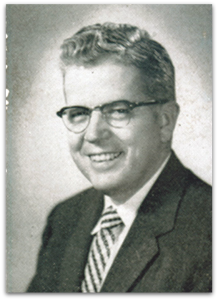 With a Society history dating back to 1936, Dr. Linford served as ECS secretary for 10 years and president of The Electrochemical Society from 1961-62. Through his role as an educator and work in electroplating and corrosion, Dr. Linford became one of the most highly recognized members of ECS. In 1936, Henry B. Linford was awarded the Weston Fellowship of $1,000 from The Electrochemical Society. The Weston Fellowship remains an ECS award as part of the our Summer Fellowships program. Dr. Linford was also the recipient of the Acheson Medal and Prize in 1960. The Henry B. Linford Award for Distinguished Teaching was established in 1981 for excellence in teaching in subject areas of interest to the Society and continues the cycle of recognition. Submit your nominations today. Application Deadline: April 15, 2015. Electroless plating is the non-electrical plating of metals to achieve uniform coatings by a process of controlled autocatalytic reduction. We’ve seen a major expansion of electroless plating in plastics, as in the plating of printed electronic circuits. Today, a large number of consumer goods are coated by this method to create durable and attractive surfaces. 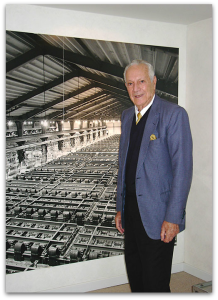 Electroless plating was co-discovered in 1944 by Dr. Abner Brenner who was also the first recipient of the ECS Vittorio de Nora Award. The de Nora Award was established in 1971 for contributions to the field of electrochemical engineering and technology. Submit your nominations today.